All symposium events will take place in Hunter College North Building. Take the 6 train to 68th and Lexington. As an alternative, take the F train to 63rd and Lexington and walk north 5 blocks. The crosstown M66 bus goes east on 68th Street, and west on 67th Street. The M98, M101, M102, and M103 go south on Lexington Avenue and north on 3rd Avenue. 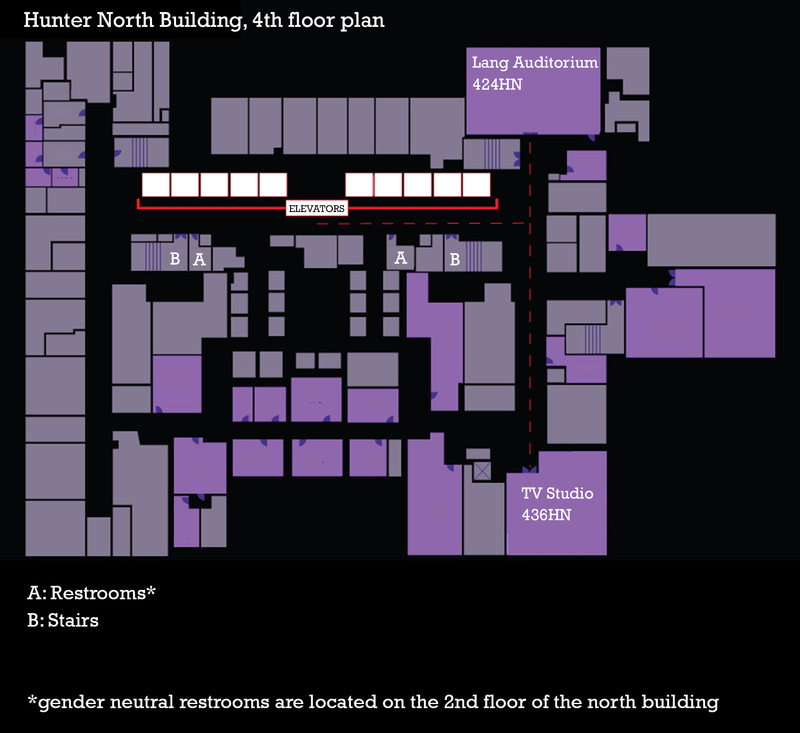 When you arrive at Hunter College, please go to the Visitors Center in the lobby of the West Building, southwest corner of 68th and Lexington, where you will be issued a visitor’s pass, (West building view is here). After you receive your visitors pass, exit the West building, cross 68th street and enter the North building via the Danny Kaye entrance on 68th street (view here). With your visitor’s pass, you can also enter the North Building via the 69th street entrance, between Lexington and Park Avenue (seen here). A campus map can be found here. Take the North Building elevators or stairs to the 4th floor. Symposium events are being held in the TV studio, 436 Hunter North (HN) and the Lang Auditorium, 424HN. The closing reception will be held on Saturday, November 14th from 9:00-10:30pm in the Faculty/Staff Dining Room on the 8th floor of Hunter West Building (SW corner of 68th and Lexington). If you are entering from the street, take the elevators up to the 8th floor. If you are coming from the Lang Auditorium, following Deborah Stratman’s keynote presentation, descend one flight to the 3rd floor, cross 68th street to the West Building via the skybridge, then take the elevators to the 8th floor of Hunter West.